Chris Fillmore can boast of having established a new absolute record on two wheels in his first participation in the Pikes Pike International Hill Climb. 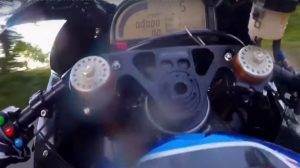 The American rider faced the first 19.99 km of the famous ‘Race to the Clouds’, and made it at the controls of a KTM Super Duke 1290 R series, a real beast of 177 hp that has been able to Complete the climb to the Pikes Pike in just 9 minutes 49 seconds, setting a new absolute record in the Heavyweight Division, until now held by Carlin Dunne (09:52) with the Ducati Multistrada S.
The time set by Fillmore also improves the record hitherto held by Jeremy Toye in the Heavyweight Division, with a time of 9:58 using a Kawasaki ZX-10R modified for competition. 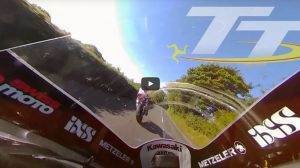 Guy Martin and Horst Saiger | EPIC Isle of Man TT On Bike Lap with Commentary!